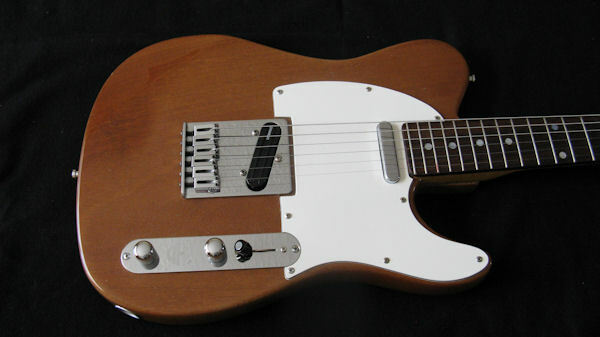 Don't be fooled by the apparent simplicity of this great guitar. The contoured one-piece mahogany body and the quarter-sawn flamed maple neck is the perfect marriage of two extraordinary tone woods, which gives the J2 Special its great vibes. It was a 'labor of love' when I built this "dream" guitar for myself in 1996. Almost 10 years later, it is still my red hot favorite. The J2 Special features a few 'bells and whistles'. The Fender Vintage Original single-coil neck pickup, coupled with the DiMarzio stack humbucker bridge pickup, plus push-pull switch with coil tap on the tone control deliver a wide variety of single-coil and humbucker sounds. This makes it possible to play every genre of music with this guitar. The Sperzel locking tuners keeps the guitar in perfect tune, while the comfortable feel of the neck, along with the arm and body contour enhance the playability. 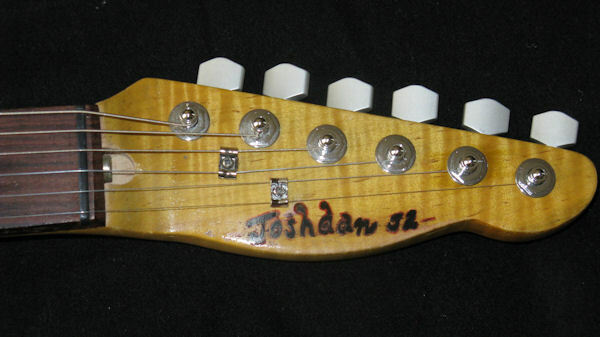 When I pick up the J2 Special to play it, I get such a thrill that I don't feel like putting it down. This is what a truly great guitar is all about. 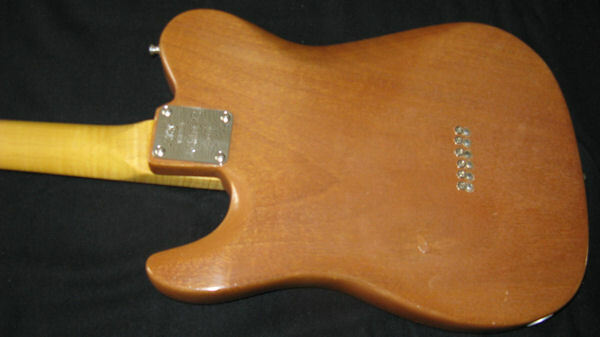 One-piece mahogany body with forearm and body contour. Flamed maple neck reinforced with 2-way adjustable 'Hot Rod' truss rod finished to bring out the natural feel of the wood. Rosewood, maple or pao ferro fingerboards. 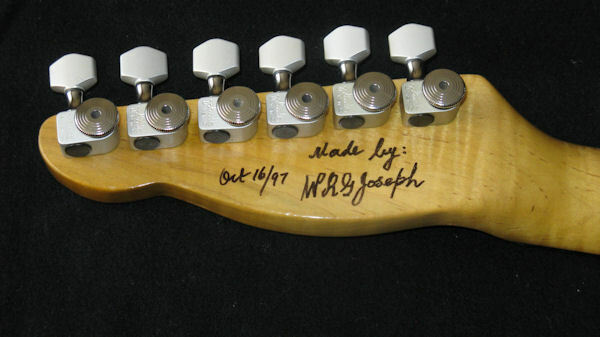 Fender 'Vintage Original' single-coil neck pickup, DiMarzio Fast Track "T" stack humbucker bridge pickup. Master volume control, master tone control and 3-way pickup selector with push/pull switch with coil tap on tone control for humbucker and single-coil tonalities. Grover Mini Rotomatic or Sperzel Trim-Lok tuners. Available colours are natural mahogany, transparent golden brown, or transparent red.